On May 2019 Staff Selection Commission (SSC) has released the SSC Combined Graduate Level (CGL) recruitment notification. Online applications have started from May 2019 and last date to apply is June 2019 . The exam will be conducted in four stages — Tier -1, Tier- 2, Tier -3 and Tier – 4. Exam timing for Tier 1 reduced from 75 minutes to 60 minutes: Earlier SSC conducted CGL exam online in 2019 for the first time which was for 75 minutes and it resulted in high cut-off marks, the change could decrease the cut off. New posts introduced: Post of Assistant Accounts Officer (Post code – $ and Grade Pay – 4800) Department of Indian Audits & Accounts, this year. 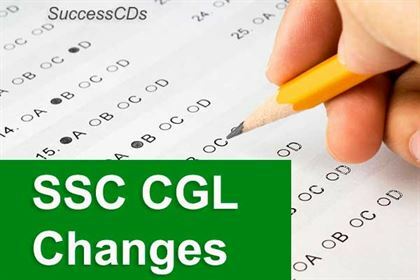 Commission has clarified the maximum age limit: Aspirants were confused regarding upper age limit for SSC CGL 2019, whether it is 27 or 30 years. The Gazette of India on December 26, 2016 that said the upper age limit for excise inspector, preventive officer and examiner will be 30 years. Latest notice released on May 17, the Commission has clarified the maximum age limit is 30 years. No mention of the post of compiler: Earlier, the post of Compiler (Grade Pay – 2400) was mentioned in SSC CGL 2016 recruitment, but it has not been declared this year. SSC CGL exam is conducted by Staff Selection Commission for filling vacancies in various govt departments / ministries. The selection of eligible candidates is done through four tiers. A large number of graduates appear for this test but only a few are able to qualify all its tiers. SSC CGL will be a computer based test (online examination). Tier 1 and 2 will be held online. There will be four tiers in this examination. Tier 3 will be descriptive type test. Introducing a descriptive paper of 100 marks within 60 minutes in pen and paper mode. The last but not the least preparation is foremost important. The candidate must be thorough on the syllabus grounds; as the changes from time to time can be met with the knowledge and if the groundwork on the subject matter is proper. The Changes that will be coming across in the Exam pattern and Selection procedure of recruitments by the Staff Selection Commission (SSC) which have released ; the Combined Graduate Level (CGL) recruitment notification is an assessment and employment platform for all aspirants.